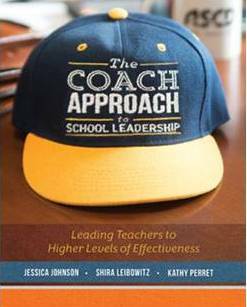 I had the opportunity to interview the authors of The Coach Approach to School Leadership: Leading Teachers to Higher Levels of Effectiveness, Kathy Perret, Shira Leibowitz, and Jessica Johnson for a podcast. In the session, the authors shared with me that as they explored instructional coaching, the question emerged, “How can a principal lead as an instructional coach when they have all of the other hats they have to wear, including evaluation?” That question led to the writing of their book, The Coach Approach to School Leadership. Shira shared that the job of a principal is becoming increasingly complex as they focus on being instructional leaders, a role that most long to hold.There are so many roles that are required. They can get constrained in the role of manager or supervisor, and having to put out all kinds of fires. Taking on the coach’s hat is a deliberate approach that includes technical, instructional, time management, goal setting and feedback pieces to structure and reclaim the role of principal as an impactful learning leader. Taking on the components of coaching leads to increased teacher effectiveness. What is it that the teacher’s doing? What are the teacher’s goals for her students? Jessica added that observing with a coaching hat mentality means not making judgments. Shira said that taking control of your calendar and your time and being able to manage time is essential. Administrators need to develop the role of supervisor — balancing wanting to give a helpful space for teachers to reflect and grow with still being a supervisor. Framing the difference between a principal coach and a pure coach is also important. It takes significant time management to be able to craft the role in a way that allows for time to focus on instruction, teaching, and learning. I asked how administrators can best communicate to teachers that they can play both roles. If an administrator works as a coach do they have some degree of ownership in the teacher’s growth? Kathy shared that when she was a coach, her principal really embraced coaching. He walked alongside the teachers. If there was something that they were learning, a strategy that they were learning, he would practice it with them. He was learning it with them. When it came time for evaluation, he understood the strategy, he understood the approach. They were all learners together, growing along side each other, and helping the kids. 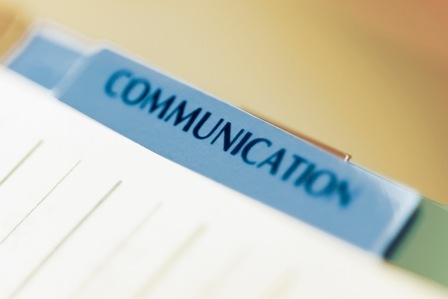 O = Objective – These questions start the conversation focused on the facts and observable data. This is the “what” question. The purpose is to relieve stress and invite active participation. A simple question like, “What did you set out to accomplish in today’s lesson?”, allows the coachee to share his/her thoughts from their perspective. R = Reflective – Once the coachee has had an opportunity to describe the what, it’s on to deepening the conversation with reflection. For example, if the coaching conversation started by sharing what was accomplished in today’s lesson, a follow up questions could be about how students progressed toward the goals of the lesson. I = Interpretive – The interpretive questions are meant to serve to interpret the results and start to plan for next steps. They can uncover deeper meanings and implications. In the example of reviewing a lesson, we know some students may have accomplished the goal while others are approaching it. It is important to remember that the coach serves as a partner in the conversation. Together they explore interpretations of the data and possibilities for next steps to help students reach the target. D = Decisional – The decisional questions help define the action steps that both the coachee and coach will take as they work together towards the goal. Do they need to plan the next lesson together? Do they need to co-teach or would it be beneficial for the coach to model something for the coachee? Jessica explained that they play a huge role because even if a principal is operating with a coaching hat and doing a great job at it, you can’t do it alone. You need to have a culture of coaching across your building, whether that’s people who are in the actual position of being an instructional coach, whether its peer coaching, whether it’s just teachers taking some of their prep time to go and observe others, or mentor teachers. You need to have an entire school-wide culture of coaching. Thanks! Jessica Johnson (@PrincipalJ), Shira Leibowitz (@shiraleibowitz), and Kathy Perret(@KathyPerret). Love this topic and your reflections! Thank you, Steve, for yet another resource for the lifelong coaches!